JULY 30, 2018 (Ellicott City, MD): Historic Ellicott City (HEC) announced today the selection of its 32nd Annual Decorator Show House, Wilderness Farm. The annual event aims to preserve historic homes in the area for future generations, while also raising funds to support missions dedicated to the preservation and restoration of historic Howard County. This year’s Decorator Show House will benefit Ellicott City flood relief efforts. The complete Press Release can be read by clicking Read More below. The Ellicott City Old Town Market will be located at the parking lot and on grounds of HEC’s home office, the historic Mt. Ida mansion, until then end of July. HEC will also be opening the historic home for Tours on July 21st and August 4th from 9:00 am to 1:00 pm. Admission is $3.00 for adults and $2.00 for teens (12 and under are free). Cash is preferred. 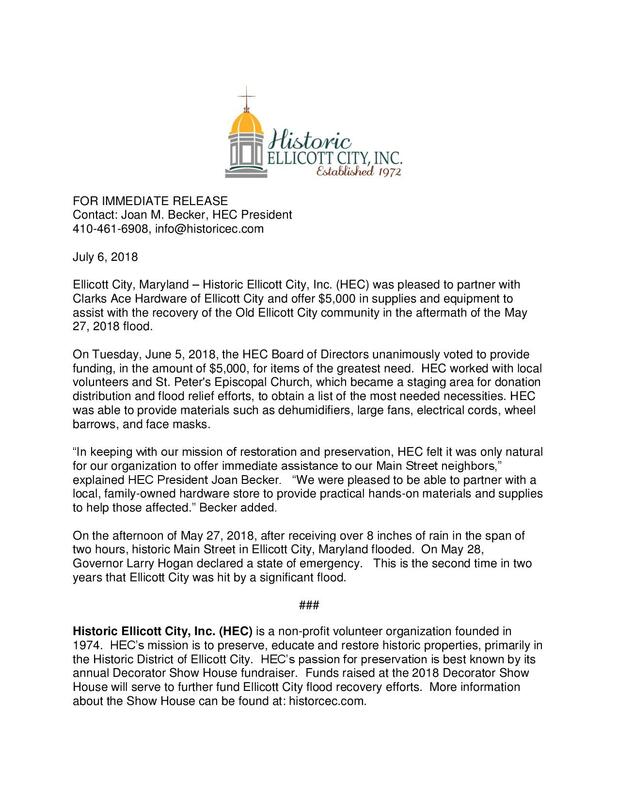 HEC was pleased to partner with Clarks Ace Hardware of Ellicott City and offer $5,000 in supplies and equipment to assist with the recovery of the Old Ellicott City community in the aftermath of the May 27, 2018 flood. Items provided ranged from dehumidifiers, large fans, electrical cords, wheel barrows, and face masks. The complete Press Release can be read by clicking Read More below. Wilderness Farm will open its doors on September 21, 2018 and will run through October 21, 2018. 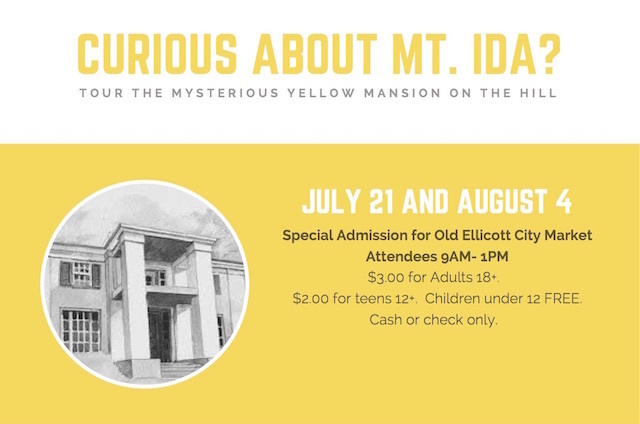 Click Read More for information about: the address of the House, ticket information, hours, including days the house will be closed this year, and other logistics. HEC is seeking designers to showcase their talents for its 32nd Decorator Show House. 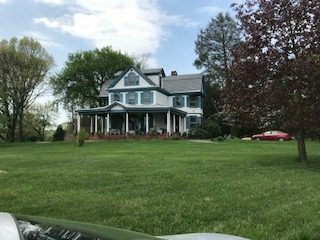 HEC cordially invites members of the design community to walk through the location for its 32nd Decorator Show House: Wilderness Farm located at 3366 Jennings Chapel Road, Woodbine, Md. 21797. This is a wonderful opportunity to promote your business and expand your clientele.